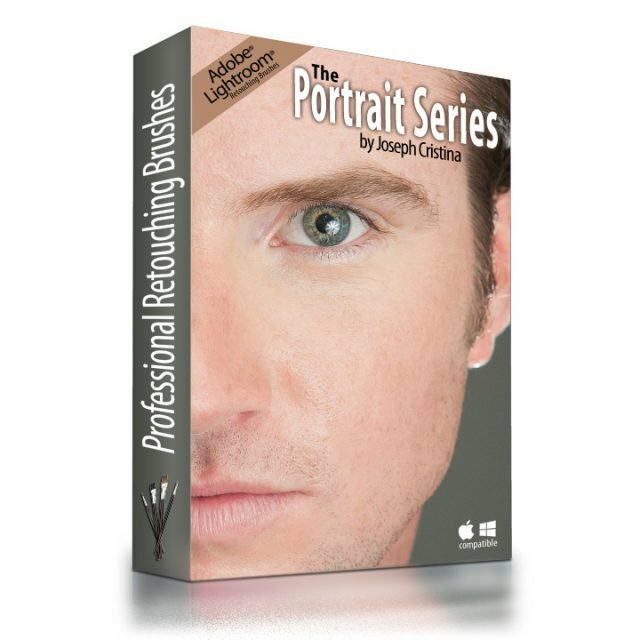 The Portrait Series: Professional Retouching Brushes provides portrait photographers the ability to do professional retouching within Adobe Lightroom! The retouching tools within this series will allow you to break free of the countless hours spent in Adobe Photoshop saving you time, money and ultimately allowing you to produce professional quality results in Lightroom. The Portrait Series: Pro Retouching Brushes for Adobe Lightroom® The Portrait Series: Professional Retouching Brushes provides portrait photographers the ability to do professional retouching within Adobe Lightroom! The retouching tools within this series will allow you to break free of the countless hours spent in Adobe Photoshop saving you time, money and ultimately allowing you to produce professional quality results. My goal was to enable photographers to focus more on their passion, photography and less on post processing. Providing a way of accomplishing the vast majority of photo retouching using Adobe Lightroom saves not only time but allows those with limited resource a way of producing stellar results without the need of Photoshop. These pro adjustment brushes are perfect for Portraits, Weddings, Ad Campaigns, Comp-cards, Senior Shots, Model Portfolios and much much more. 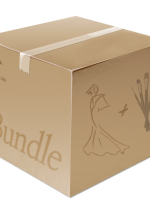 This is not your everyday brush sets which frequently turns models into mannequins. Skin is beautiful, individual and important to the overall personality of a subject and should not look like plastic. These Lightroom adjustment brushes have been created to mimic the way a professional portrait retoucher and artist would approach correction using the color wheel and invoking complementary color pallets for neutralizing problematic areas while enhancing others. With this series I’ve shared my method of non-invasive editing to help keep true to the original portrait while providing a way of producing beautiful magazine quality results. Joseph Cristina is an internationally published Commercial, Event and Fashion Photographer based in Sunny South Florida with over 20 years experience. After years of working harder instead of smarter he found himself spending more time behind the keyboard and less behind the camera. Joseph decided to revisit his workflow from the point of capture straight through post-production. This journey has lead to the creation of a number of products enjoyed by thousands of photographers worldwide. Joseph continues to give back to the photo community as an educator, ipTV and radio co-host of The Digital Photography Cafe Show, inventor of the Focus Pyramid Auto-Focus Lens Calibration Tool and much more. Permission is granted to download a single copy of the materials purchased. Usage Rights are granted while ownership or title is not. You may use the purchased material to create your own additive works for personal or commercial purposes but may not copy or modify these materials as your own for resale. You may not give away or receive compensation for this material through any means, digitally or physically. There is no warranties, expressed or implied association with this product and is provided as-is. No returns, no exchanges.The retouching tools within this series will allow you to break free of the countless hours spent in Adobe Photoshop saving you time, money and ultimately allowing you to produce professional quality results. Into this location, simply Unzip the contents of the .zip file you receive and restart Lightroom.